Brianne “Brie” Bender has been in the Myrtle Beach area since 2006 and can’t see herself living anywhere else! A Midwest girl originally from Indiana, getting used to life at the coast was a bit of a change but she now realizes it’s the best choice she could have made. Brie earned her Associate of Accounting degree from International Business College in 2001 but soon after graduation realized that customer service, business management, and training was really more what she was interested in. When the time came to move down to the Myrtle Beach area to be close to family the search for a new position that would meet her goals began. Being a vacation destination, Real Estate positions in 2006 were prevalent so it was a natural progression for Brie to be hired on as Office Manager for a local Real Estate office in Little River. The experience she gained there and as a Rental Manager and Broker In Charge of another local firm has ultimately opened the doors for the opportunities that she has been presented with to help gain her footing in the Myrtle Beach Real Estate community. In August of 2013 Brie finally took the owners of Beach Realty Group up on their offer to join an up and coming real estate office. With a focus on technology and exceptional client service, Beach Realty Group in their two short years has put together a formidable team of young and young at heart real estate professionals who all have the same vision and focus for the future of the company. Brie prides herself on her involvement in the community and her local association of REALTORS. 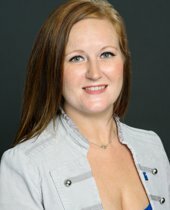 She is currently serving on the Board of Directors of the Coastal Carolina Association of REALTORS, is the Chair of the Professional Education Community, and is heading up efforts as the Chair of the Young Professionals Network trying to get younger agents involved in community outreach and supporting the ever changing world of homeownership. As the Broker in Charge of Beach Realty Group, she is the leader of the New Agent Training program that Beach Realty Group has all of its new agents to the business complete when they come on board and is helping the owners get their annual rental division Beach Rental Group off the ground.